The Therapod Galaxy 200 has been build for superior comfort like no other heavy duty chair. Suitable for larger users, with a choice of seat types and arms. 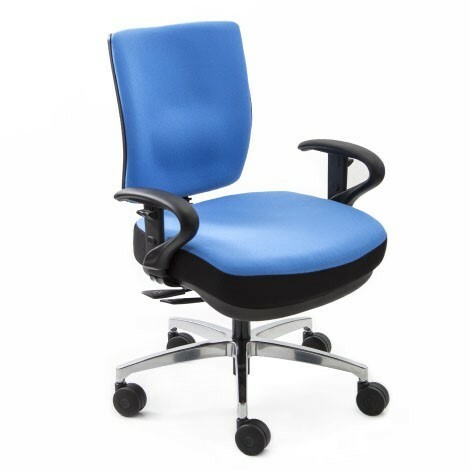 Therapod Galaxy 200 chair includes a premium cast aluminum base, heavy duty gas lift, heavy duty castors and a reinforced seat & back. Note: The Galaxy 200 chair does not come with the Therapod Posture Support System.